The anticipated new book ‘Goal Setting and Motivation in Therapy: Engaging Children and Parents’ by editors Jenny Ziviani, Anne Poulsen & Monica Cuskelly has just been released! 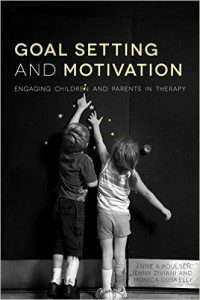 Including a foreword by Richard Ryan, the book highlights the importance of goal-setting and goal pursuit in children’s therapy, rendering it a vital motivational component. It involves principal information on Self-Determination Theory and offers advice on empathetic collaboration with the child and their family. The book is deemed an invaluable resource for a wide spectrum of professionals working with children.